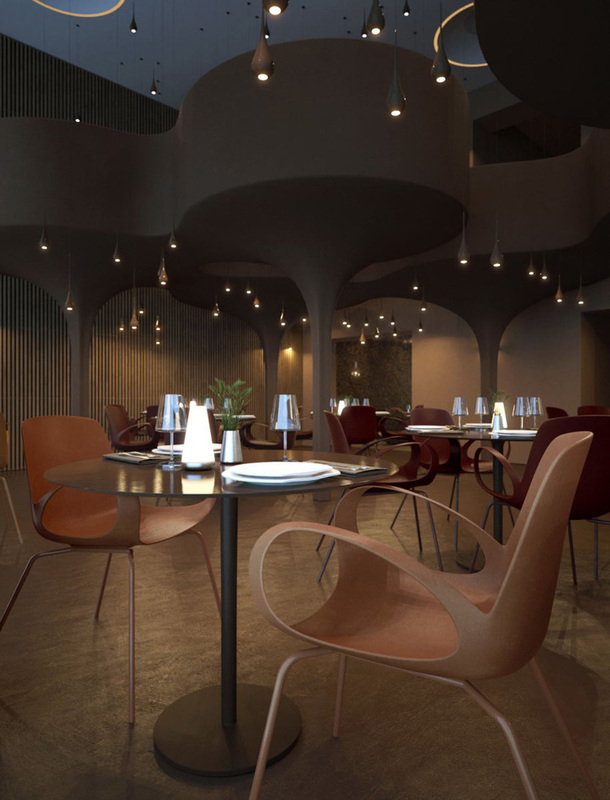 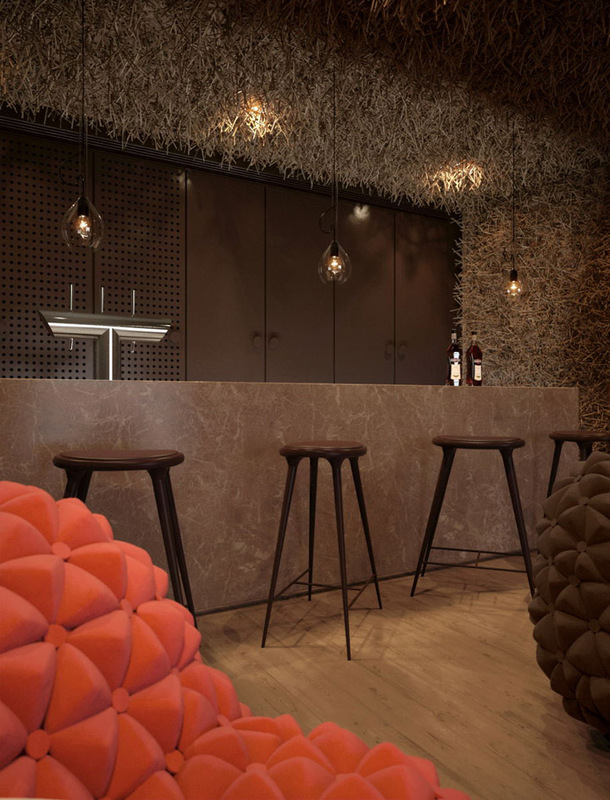 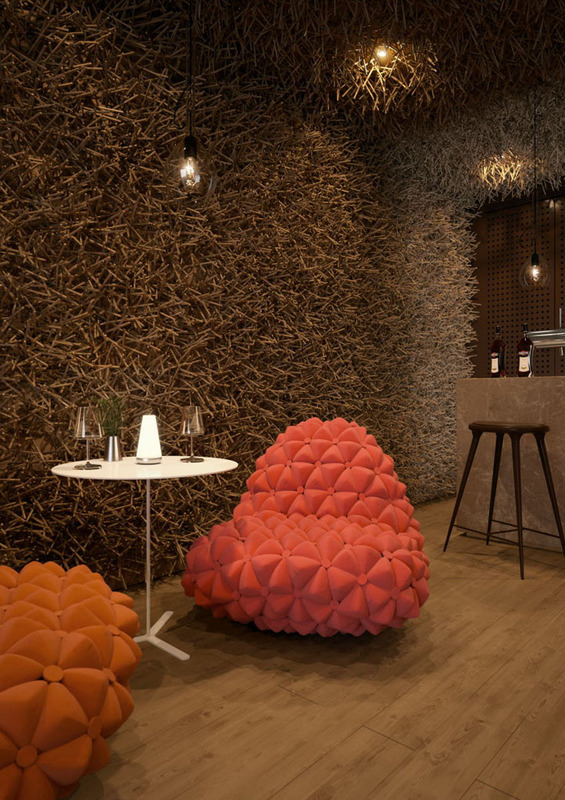 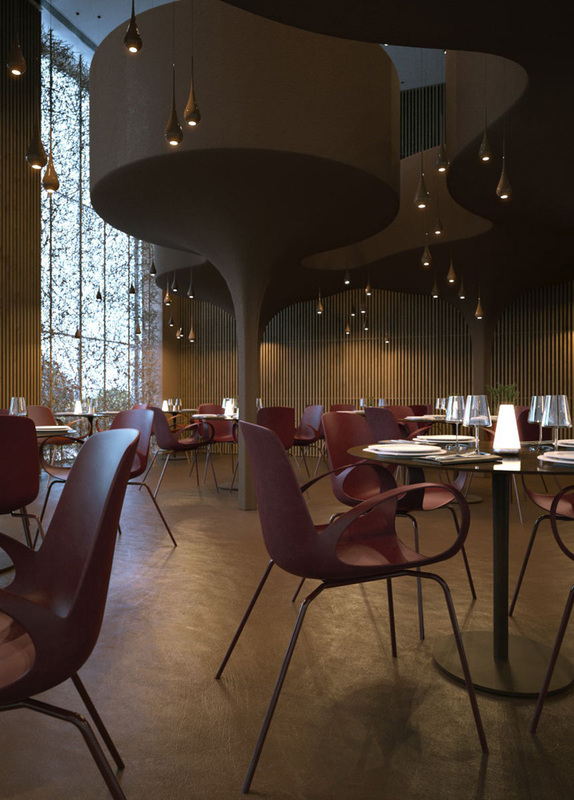 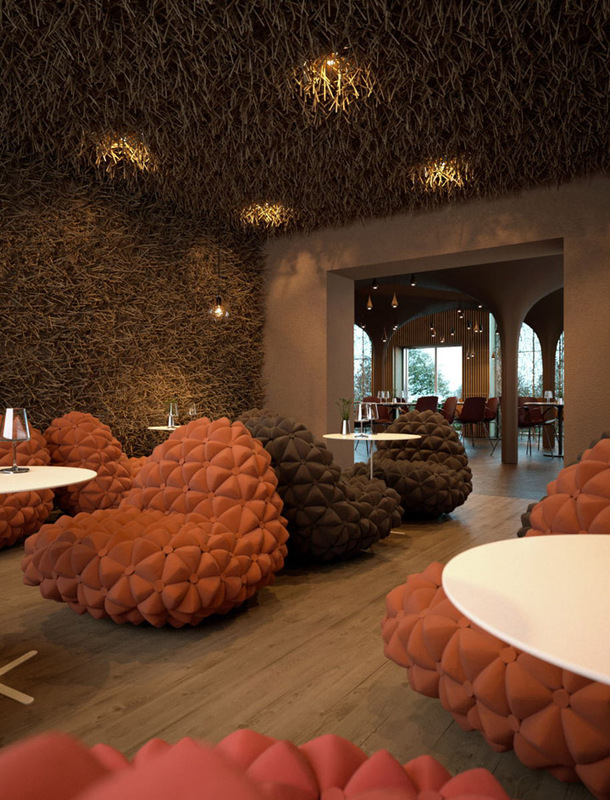 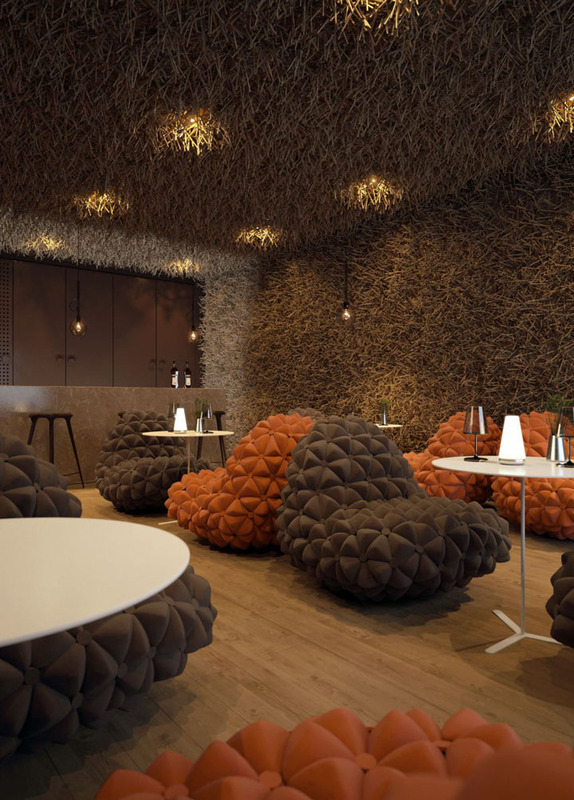 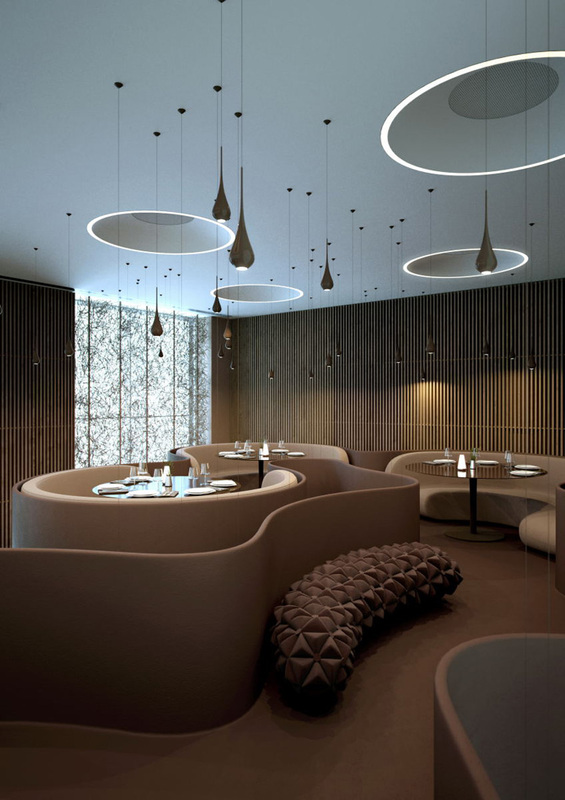 Design teams of Sergey Makhno and Butenko Vasiliy have completed the interior for a restaurant in Kiev, where you can fell like baby bird while drinking cocktail or have a dinner at tornado top. 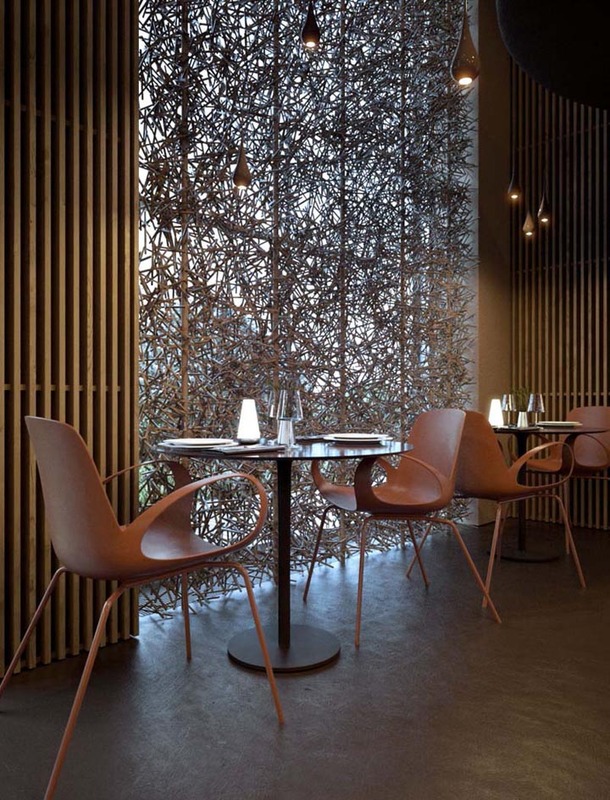 This restaurant can be classed as modern European and offers a molecular kitchen style dishes.The main aim while designing this restaurant space was to create an environment that is natural, modern and comfortable. 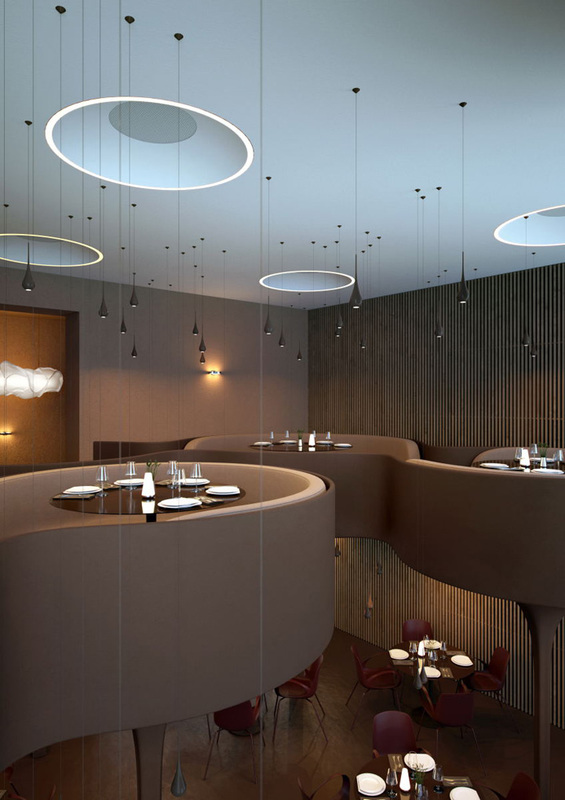 This restaurant features two areas: a two-storeyed dining section and relaxing bar area.